The trailblazing beverage director weighs in on the unexpected rise of mocktails, the pros of bottle service, and why it's a "very scary time" for people in hospitality. When it comes to the world of fine dining at large, cocktails are still relatively in limbo. Yes, they are clearly respected—as the recently-released The NoMad Cocktail Book suggests—but still not quite on equal footing with the food. The fact that the aforementioned book is presented as just a tiny insert in the back of the massive The NoMad Cookbook may very well prove that point. The NoMad is the brainchild of restaurateur Will Guidara and chef Daniel Humm. The two first met Robitschek when he was working behind the stick at Eleven Madison Park, Danny Meyer’s spot that, once taken over by Guidara and Humm, was elevated to Michelin three-star status. It was there that Robitschek first began working on transforming the beverage programs at high-end restaurants. Robitschek has been so successful with his beverage programs that The NoMad’s reputation as a cocktail haven nearly rivals its one for food. In fact, both The Elephant Bar and The NoMad Bar appeared on this year’s prestigious World’s 50 Best Bars list. This is surely thrilling for a man like Robitschek, who began his career at Japanese fusion joint SushiSamba, working a side gig while he earned money for medical school. Since deciding to make bartending his true calling, he’s become a massive force in the industry, a Tales of the Cocktail nominee who enjoys spreading the gospel both at home and on his frequent trips abroad. Robitschek may be soft-spoken and humble, but that doesn’t mean he doesn’t also have a lot to say. He’s deeply intelligent, and his incisive thoughts on the direction of hospitality are well worth listening to. From being inspired by cheesy bottle service, to the rise of Ivy League bartenders, here Robitschek pulls back the curtain on the contemporary cocktail industry. The following interview has been condensed and edited. On how bottle service inspired him. I think it’s always important to have fun at the bar. Believe it or not, I love bottle service and I love large-format cocktails. 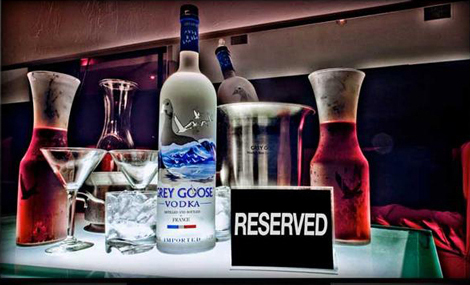 Unfortunately bottle service has always been done horribly. It’s about going out and being able to entertain your friends. In New York we don’t really live in apartments meant for entertaining or having our friends over. It’s awesome to host and entertain your friends at the bar though. I’d been trying to wrap my head around large-format cocktails for awhile. At Eleven Madison Park it didn’t make much sense. At The Elephant bar or The Library bar, it didn’t quite feel right either; not a lot of large groups. So when The NoMad Bar opened, I thought, “Oh my god, I can finally do it!” I’m a bit of an OCD freak though, so I don’t like the idea of serving punch and having people ladling things. So the Cocktail Explosion [a large-format cocktail served in a glass vessel with a spigot] was my solution for how to do large format, and still be clean and neat. On having to kill vodka…to revive it. We [bartenders] had to kill vodka to bring to the forefront other spirits: bourbon, mezcal, gin. At the end of the day, vodka is a viable spirit though. We’ve always stocked vodka [at The NoMad], but never had a cocktail with vodka in it until last year. There’s a lot of great vodkas now. So why not craft a cocktail with it? As time goes on, you change your mind about things. Vodka is not a bad spirit, but for so long people wouldn’t drink anything else. So eight years ago, we were all on a mission to kill vodka. And it worked! But now everyone is drinking bourbon and gin, drinking smoky stuff. So why not bring vodka back? On the unexpected rise of mocktails. The era of “Oh, I want to get really wasted!” is over. Now you might want something to keep you on your feet for the long haul (which is why NoMad has a lot of beer cocktails). We’ve also had no-ABV cocktails for nine years. Our sales of those have gone up so much of late. What we actually sell per year [of mocktails] is pretty astonishing. People don’t drink for a lot of reasons. Maybe religious or health. Pregnant. Maybe they’re just hungover. But they still want to be out. And these people get tired of just drinking water or soda. People see mocktails on our menu and wonder, “Are these for the kids?” No, they are pretty much for adults. The flavors are too complex—99% of the time we sell them to adults. On this “very scary time” for people in hospitality. It’s something we’ve been discussing a lot [Danny Meyer’s recently instituted no-tipping policy]. I think Danny is a trailblazer, and what he’s doing is pretty amazing. There’s always been a really big difference between the dining room and kitchen staff, between the money they make. So it’s really noble and amazing what he’s doing. It’s not going to change in most places though. The West Coast has already seen what happens. Prices were raised too high and it discouraged people from coming in. You don’t go into hospitality to make a ton of money if you’re an owner. So if you raise prices you may lose clientele. I don’t know what’s going to happen. It’s a very scary time for people in hospitality. 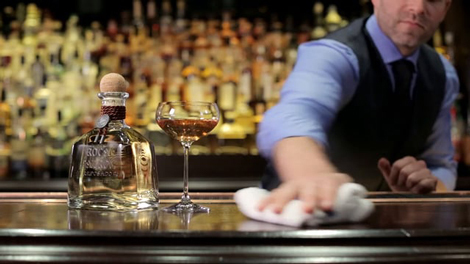 On being a celebrity bartender. It’s a good thing only because it helps me preach the gospel of spirits, cocktails, and bartending. People should invest time and energy making things that are delicious. It helps me push those boundaries. People that may have never viewed bartending as a viable career path, they see me and now reconsider coming into the business. To me it’s really weird though. My least favorite thing is taking pictures and doing videos for the job. I am grateful of course. A negative side, though, is people coming into the industry just to become famous. Those people never stay in the job that long. 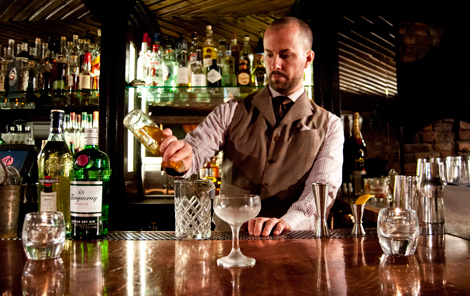 On the new class of careerist bartenders coming up. I look at some of my bartenders and think, “If I knew what you knew at 19, 20, 21 I don’t know where I’d be!” It’s funny, because I was talking with Jim Meehan…there was really no viable career path as a bartender when we started. It was really scary. It was the road unpaved. 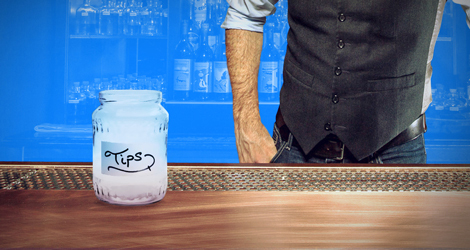 We bartended because of the love of hospitality and, of course, as a way to make money. We worked in humbling places. We didn’t have all these amazing tools and resources. We had to think on our feet and come to terms with decisions on our own. A lot of 22-year-old bartenders today, they’ve been collecting whiskey since they were 15, reading cocktail books for years. It’s amazing the knowledge they have. I think for them, they need to learn something a little different. Mechanics and how to think for themselves. And how to provide hospitality. Part of my success is I had to figure it all out on my own, and I was really insecure. You grow up in this generation now you might not question anything, you might just do everything your mentor tells you to do. A lot of the young bartenders today are amazing, but what they need to learn is how to be critical thinkers, more analytical. The ones that learn that? I’m super excited to see what they can do. On Ivy Leaguers now bartending. You know it’s funny. I think in general, hospitality in America is something people do while they’re studying to do something else. People do it while they’re still in college. But the people that end up staying in the industry are the people that fall in love with the job. You do find a lot of really diverse and smart people bartending. 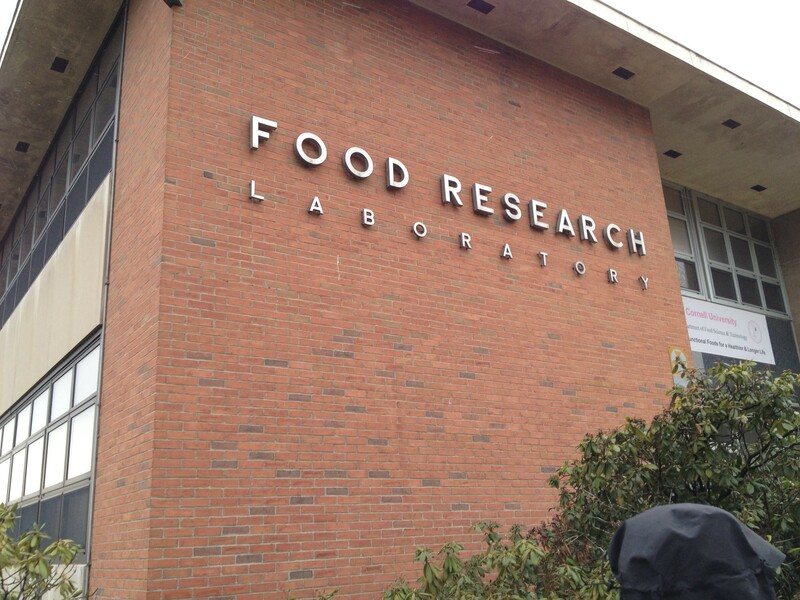 You’re seeing a lot of food science programs in colleges now. Cornell has had one for a good bit of time. You’re seeing people studying to become hospitalitarians. I remember visiting Cornell when I was in high school and laughing out loud at their program “Who would study to become a bartender? !” But now we’re seeing lots of Ivy Leaguers in our business. You have to have intelligence to be at the top of your game, no matter the industry. Any business where people are pushing to be different, they have to invest a lot of time and thought to their craft. On a return to the era when hotel bars ruled. Hotel bars started in America. 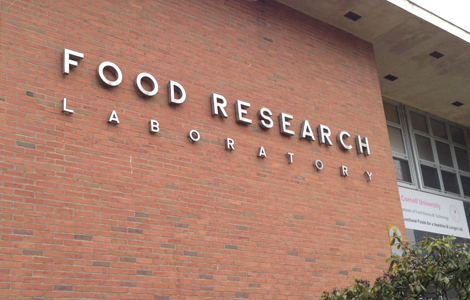 They were the epicenter of the food-and-beverage movement. People went to hotels to dine. Aside from Delmonico’s, there was really nowhere else in New York. People in the community went to hotel bars to drink, conduct business, have fun. It was a big platform for these really inventive bartenders like Patrick Duffy and Jerry Thomas. Over the years, though, they lost their luster. Maybe because of unions, maybe because people stopped caring. What also happened is that hotels quit being synonymous with fine dining. They rented out their space to other restaurants. The Ritz-Carlton didn’t have a Ritz-Carlton bar, they had a Daniel Boulud bar. They tried to separate the name of the hotel from the name of the bar. I see now more than ever people looking for food and beverage developers for their hotels. The world is getting smaller via travel and social media and hotels want good food and beverage again.